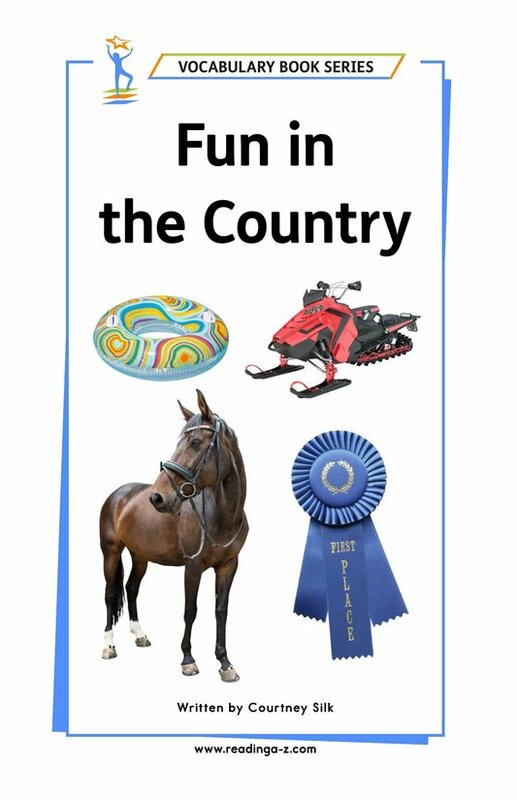 There are so many fun things to do in the country. 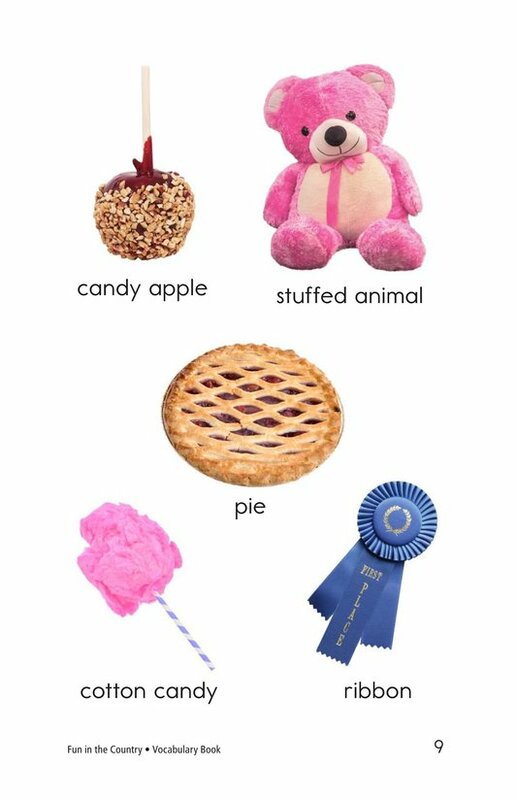 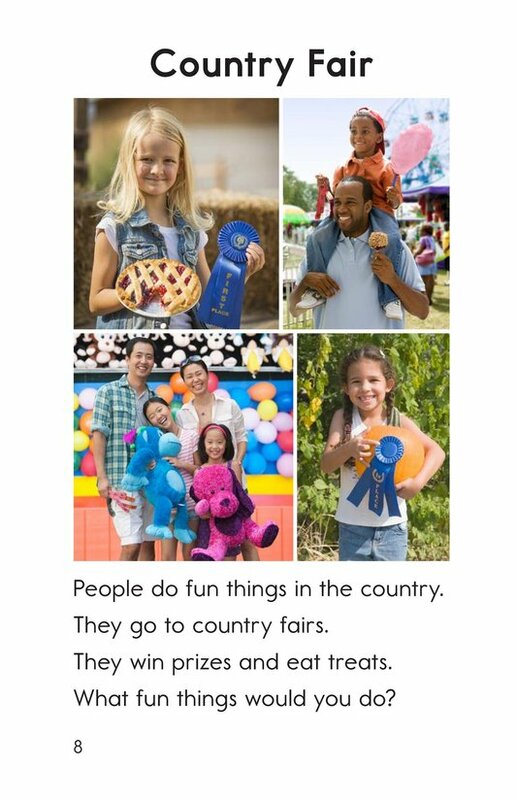 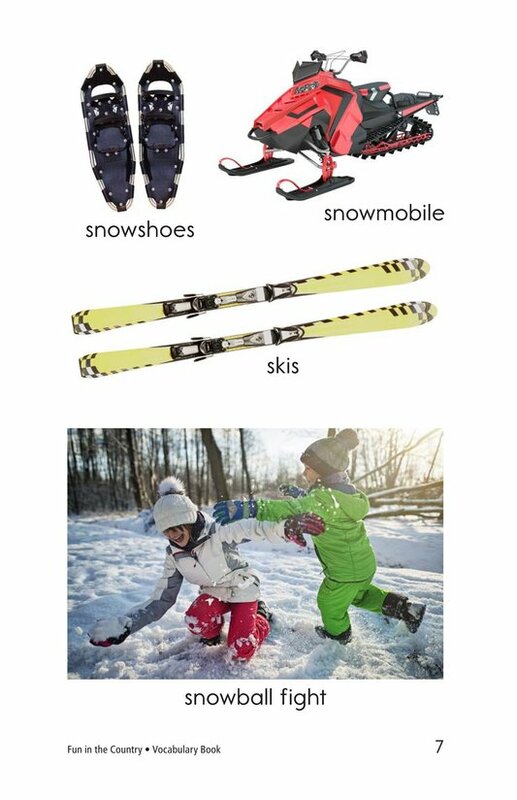 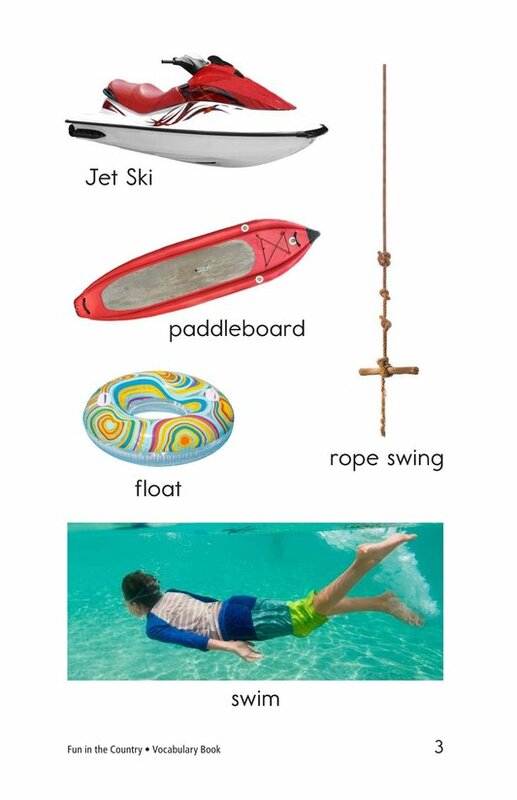 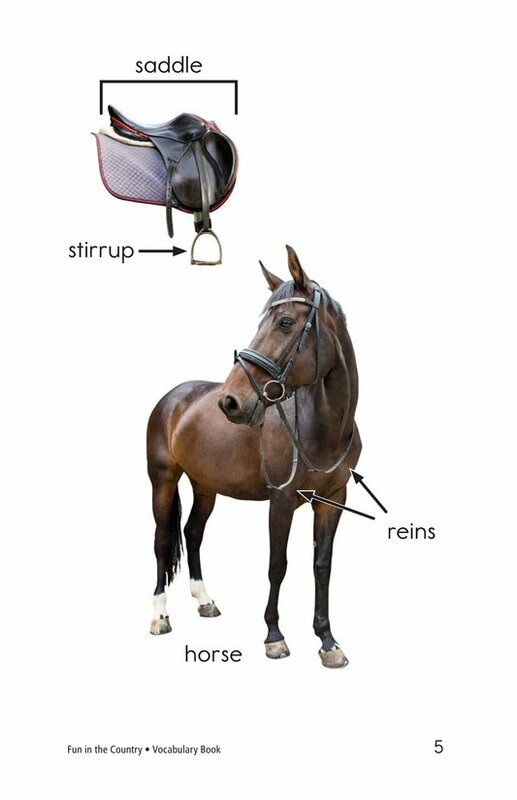 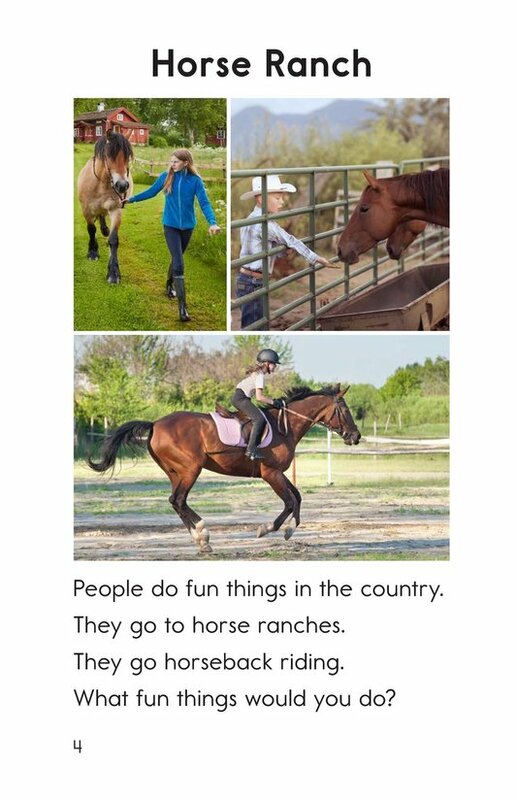 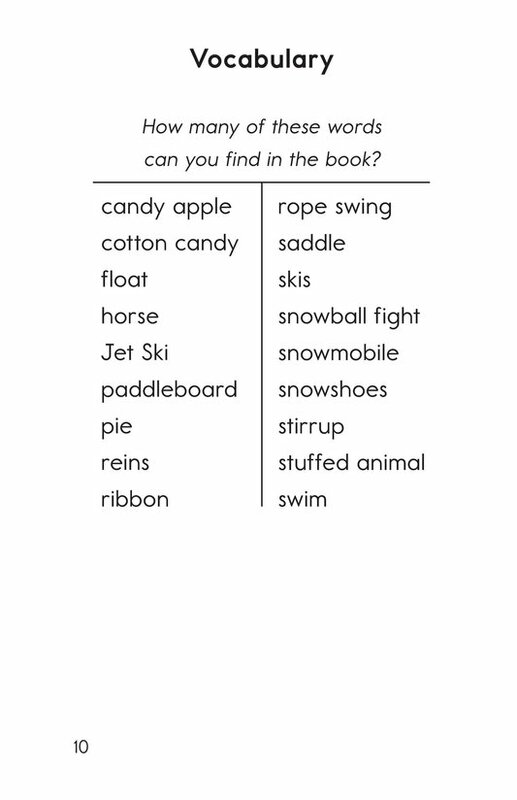 Swimming, horseback riding, skiing, and going to a country fair are just a few of the activities that have inspired the featured vocabulary. 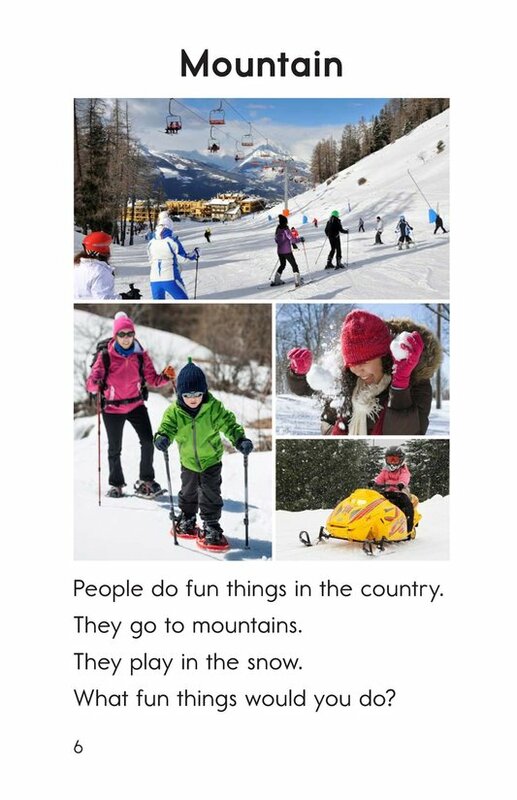 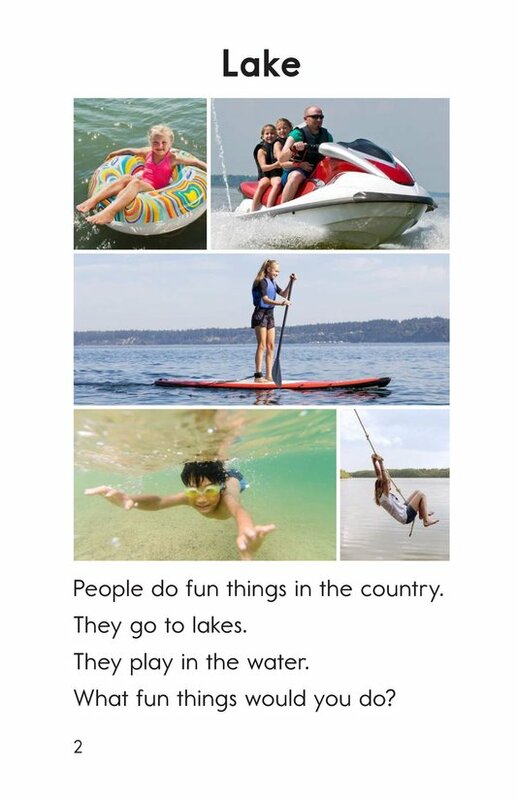 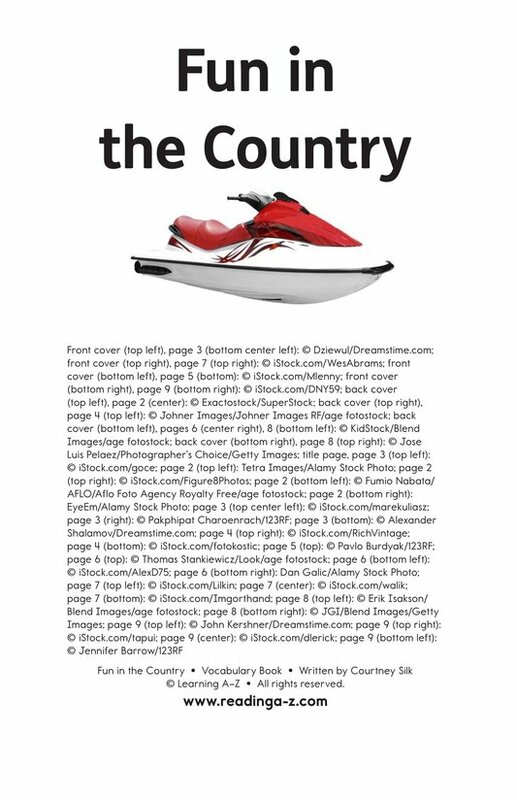 Questions invite readers to use this vocabulary as they envision their own fun experiences in the country.